Nigeria has a rich gourmet culture which thankfully cut across the 6 geopolitical zones. In each of these zones, travelers are introduced to different delightful and tastefully prepared cuisines. 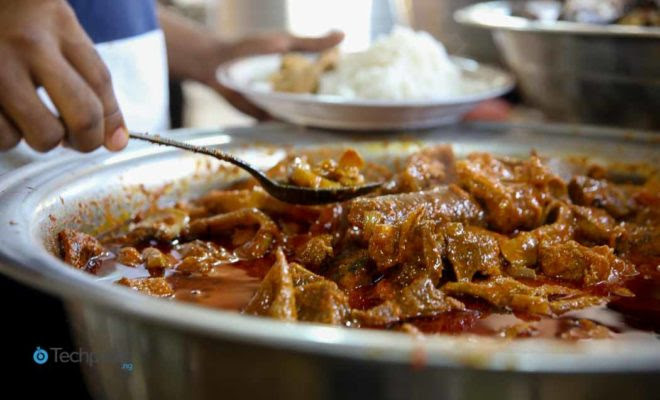 This is why it is widely believed that the food Nigerians consume represents their culture. In addition, these cuisines have transcended regional and cultural barriers to be consumed by everyone. Beyond the traditional cuisine, Nigerians don't shy away also consuming continental dishes. So, if you are new to Nigeria cuisines and food, Jumia Travel; shares everything you need to know. You will be amazed at what awaits you. Jollof Rice is a regular feature on the table of almost every Nigerian home and it is a must-serve at parties. It is very enjoyable as chefs and cooks have devised various methods to prepare it. In fact, Jollof rice is as important as the air you breathe to some Nigerians. Suya, Akara, gala + lacasera, roasted plantain, maize, nkwobi, kokoro, fura de nunu, moi moi, and shawarma are among the street foods you will get on the street. So, if the hunger pangs are seriously biting, you can signal any of the sellers to buy one of these delicious street foods. The prices of foodstuffs in Nigeria is on the high side due to the trending economic recession. Despite this, it doesn’t mean you should accept any price hook, line, and sinker. You should haggle a bit to beat down the price no matter how minute the discount. Mama put is the moniker for local restaurants you will find on the streets of any major city like Lagos, Port Harcourt, Aba, and Kano. 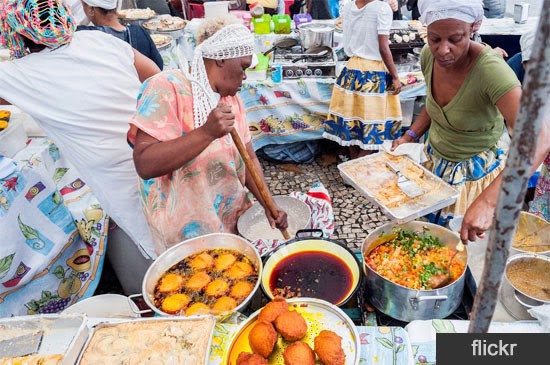 Delicacies like semo, eba, amala, rice and meat and fish are lavishly and healthily displayed. This alone can boost your appetite. And the taste is just breathtaking. Most Nigerian foods like pounded yam, fufu, garri, rice, and bread are high in calories. For example, a cup of white rice carries as much as 200 calories.